In an era filled with vision and hope, two men seized an audacious opportunity. In 1803, the French sold the Louisiana Purchase to the United States—828,000,000 square miles of uncharted territory—as large as the rest of the nation. President Thomas Jefferson asked his private secretary, Meriwether Lewis, to lead an exploration expedition named the Corps of Discovery. Lewis, a former army captain, asked his former superior, Second Lieutenant William Clark, to be the co-captain of this Corps of Discovery. Lewis and Clark had to overcome obstacles and team dynamics along the way that could have sabotaged their journey—and so will you as you lead your school toward accreditation. The Corps of Discovery faced such obstacles as flash floods and rapids seeking a boat to swallow, bitter winters, native peoples—both hospitable and hostile, unfamiliar and dangerous animals, injuries, lack of food, and no gas stations where they could stop and ask directions. What obstacles might you face in seeking accreditation and where can you stop to ask directions? We have found we can help schools strategize and overcome all of these obstacles—all except leadership issues. 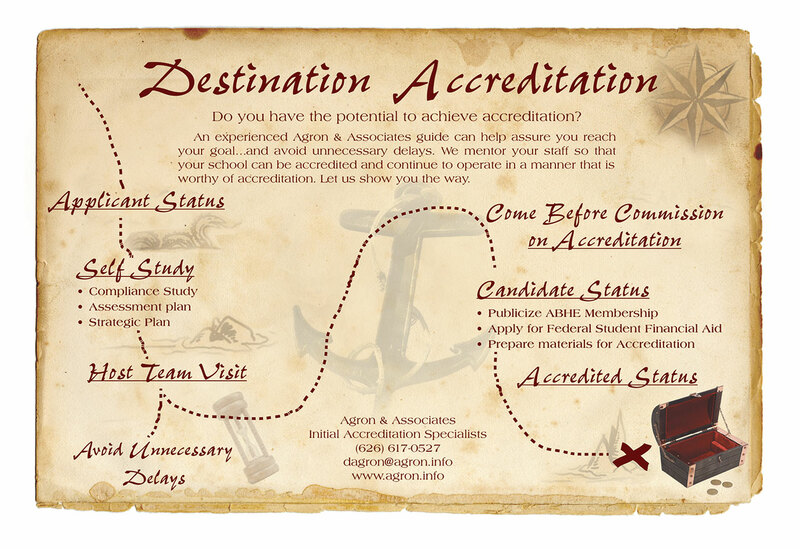 Unless the president is substantially involved and has a proper philosophy of ministry, the accreditation journey could very well lead to no accreditation. Congress allocated $2,500 for the Lewis and Clark expedition. Congress is not too highly likely to allocate anything for your journey to accreditation. So, how do you fund your voyage to this certification? When we begin helping schools achieve accreditation, they normally have only two sources of funds: tuition and a large sponsoring church or a small sponsoring denomination. This situation raises two issues that concern accrediting agencies. Such limited sources of funds put a ceiling on the amount of potential revenue. Thus, a school may not be able to generate enough money to operate at a level that would be deemed worthy of accreditation. There is also a stability issue. What will happen if the sponsoring church splits? What will happen if a new pastor is uninterested in the college? What will happen if the denomination diverts your funding to another project? If an accrediting agency accredits a school that, two years later, goes out of business, the accrediting agency will look incompetent to the US Department of Education. The same solution can address both issues (i.e., revenue and stability): diversify the fundraising program. Here are a few ways you can diversify your funding:Develop initiatives for attracting new donors. Expect new donors to give small gifts. Special events, such as tablecloth dinners, concerts, special speakers, golf tournaments, and auctions are ideal ways to attract new donors. Direct mail and phonathons are also good options for finding new donors. 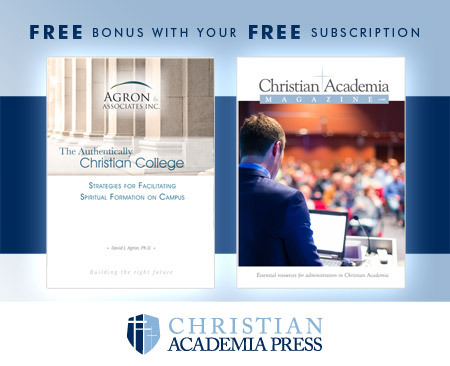 Special strategies exist specific to Christian colleges (see the resource book at the end of this section). All board members should be making donations, or at least helping to raise money. Make sure prospective board members understand these expectations before they join. Especially for theological seminaries and Bible colleges, monthly donations from churches can be as dependable as Old Faithful. Once a school is in the church budget, it tends to stay there for a long, long time. see Finding Funds for a Small Christian College. Listening to a University of Phoenix commercial, you would think that career counselors with advanced counseling degrees are staffing the phones. In reality, salespeople answer phone calls from prospects because recruiting students is a sales and marketing function. It starts with identifying the type of students that would be most likely to attend and thrive at your school. A list of such students would not yet be a list of prospects. At this point they are “suspects” that you would hope to turn into prospects. 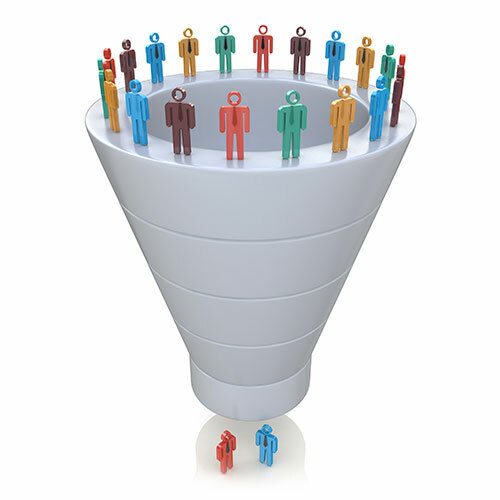 Expert marketers explain they work to move prospects through a sales funnel. The stages are awareness, consideration, positioning, and converting a prospect into a customer. Few prospects, of course, make it to the narrow end of the funnel. There is a marketing process for turning prospects into students. Start at the wide end of the funnel with school and program websites, blogs, social media, mail, and speaking in churches. Each of these efforts make prospective students aware of what your school offers and will ideally prompt them to provide their contact information. Send texts and emails offering something useful (e.g., a guide to selecting colleges, information on job prospects and salaries related to various majors). Have a student worker call prospects, inviting them to a special event or campus tour. Upon meeting the prospect, build a relationship while soft-selling the advantages of your school. Don’t propose marriage on the first date or ask a prospective student for any kind of commitment—not even a long information form. It is too early to propose, but not too early to give the prospect a t-shirt. As a recruiter feeds the prospect more information on the benefits and advantages of your school, the potential student is considering whether or not your school is a good fit. In this consideration, the school is being positioned in the mind of the prospect as a potential purchase. Once the student has had sufficient time to consider the advantages of your school, the recruiter can ask the prospect to apply. Offer a free sample. For example, if your school is a theological school, advertise on Christian radio or call churches with the following promotion: “We so appreciate Sunday school teachers that this coming semester, we will give any Sunday school teacher one free course .” Next semester, make the offer to pastors’ wives or youth leaders. If your school is a Christian liberal arts college, consider adding degrees in communication or business administration. These degrees are among the most useful for attracting new students. Conduct a variety of events on-campus and off-campus. Events give your school the exposure that enables you to identify and begin cultivating (funneling) prospects. Sometimes, when we begin helping a school toward accreditation, we find that it has significant deficiencies in its faculty qualifications. Lewis and Clark took a team of over 25 well-qualified men. Mostly military men who were chosen for their skills as expert woodsmen, gunsmiths, blacksmiths, hunters, and even a special “night-time security guard” (Lewis’ black Newfoundland dog, who also helped in hunting). Other than the dog, your faculty team may not need the same qualifications as the Corps of Discovery. Okay, you do not need a dog to be accredited. However, faculty members who teach at the bachelor’s level should have accredited master’s degrees in their teaching field. To teach at the graduate level, a terminal degree is expected. Exceptions should be few and with documentation of alternate credentials. Normally, we tell school administrators to not dismiss their present faculty members, but to only hire new faculty that meet academic qualifications and to use the unqualified faculty members less. Encourage some of the unqualified instructos to now pursue the next degree. If possible, offer some financial help with their tuition. To upgrade faculty credentials, we sometimes recommend attending schools that have distance or blended programs which are designed to be convenient for faculty members while they continue their current teaching responsibilities. Sometimes, engaging a company that helps schools develop distance education programs provides a partial solution. Some of these companies offer an online platform, pre-packaged curricula, and even have a pool of potential adjunct faculty members for your school. Add them to your faculty files, catalog, and the list of qualified faculty that you will provide to an accrediting agency. A school that is starting to seek accreditation often has a small, overworked staff. How can they find the time and energy to learn the accreditation process and effectively do the work. Sometimes, obstacles such as these are best overcome by acquiring expert help. Consider that hiring a guide is better than having a map. In the unexplored wilderness, Lewis and Clark enlisted the help of Sacagawea, a bilingual Shoshone woman who grew up in the Rocky Mountains. She spoke two Native American languages and had intimate knowledge of the terrain, customs, Shoshone trails, and survival skills. She knew how to gather food (e.g., dig up prairie turnips and wild artichokes that mice had buried for the winter). And it was her mere presence that kept some of the potentially hostile tribes from taking aggressive action toward these White American strangers. With a woman and baby on the team, the natives did not consider Lewis and Clark’s discovery party to be a war party. Could their exploratory team have overcome all their unexpected obstacles without such a guide? Agron & Associates, Inc. guides schools through the accreditation process. With our expert help, a school is more likely to achieve accreditation, likely to achieve it sooner and likely to become a stronger school because of expert help. While we have helped many schools overcome obstacles like those mentioned above, we cannot help a school with certain leadership problems. For instance, sometimes presidents do not want to be involved in the accreditation process. An even worse scenario are presidents who do not want to come to the accreditation self-study meetings, but they still want to make decisions about the issues they failed to learn about. Other times, presidents think they can do all the accreditation work by themselves. Good luck! Most vexing, however, are presidents who want to take shortcuts. Like Mr. Haney from the Green Acres TV show of the 1960s, they pompously pretend to have expertise that they lack. Instead of complying with accreditation standards, they want to merely appear to be meeting them. This is the philosophy for a degree mill ministry, not an accredited school. What if Lewis and Clark had been afraid to launch out on an unknown journey? At minimum, they would not have discovered 178 previously unknown plants and 122 species of animals. More importantly, they would not have discovered new territories that opened the way for generations of pilgrims who would settle and build a great nation stretching all the way to the Pacific Ocean. Are you wavering as to whether your school is positioned well enough to launch out on the accreditation journey? Might you like to know a little more about the accreditation process? Take this survey to assess how ready your school is to begin the expedition.